As a current article says, mezcal seems to have wormed (oh, that’s bad!) its way into the hearts, minds, and media of el norte. And, all I can say is, it’s about time! I’m not really much of a drinker; mostly just wine with dinner, the occasional beer on a hot day, and a mixed drink a couple of times a year. However, I have to say, mezcal has been a pleasant surprise. The smoky complexity is quite a treat, especially if one ventures beyond the mass-produced brands and into the artisanal varieties. Here in Oaxaca, mezcal is offered to welcome visitors, served at celebrations of all kinds, plays a role in most traditional ceremonies, and audiences always enthusiastically join in when Lila Downs sings, Mezcalito. 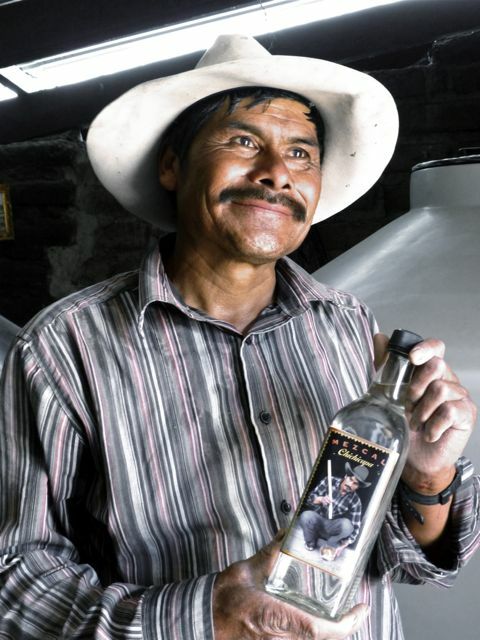 Oaxaqueño families have been harvesting agaves and hand crafting mezcal for generations. The following photos are from an afternoon spent at one such palenque in San Baltazar Chichicapa(m). 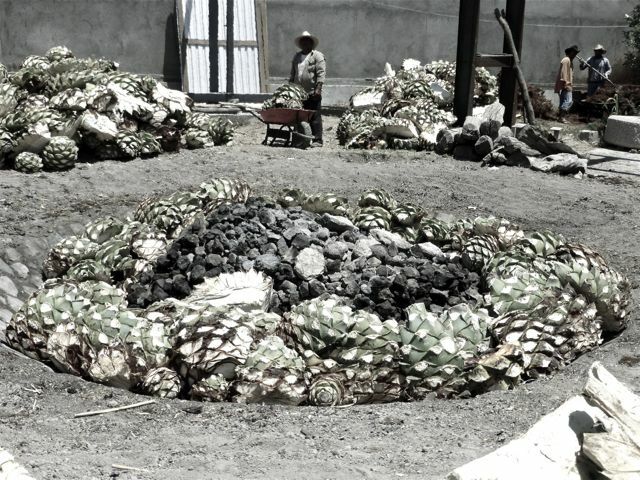 Agave piñas (hearts) are stripped of leaves & roots and placed in a large outdoor pit oven. 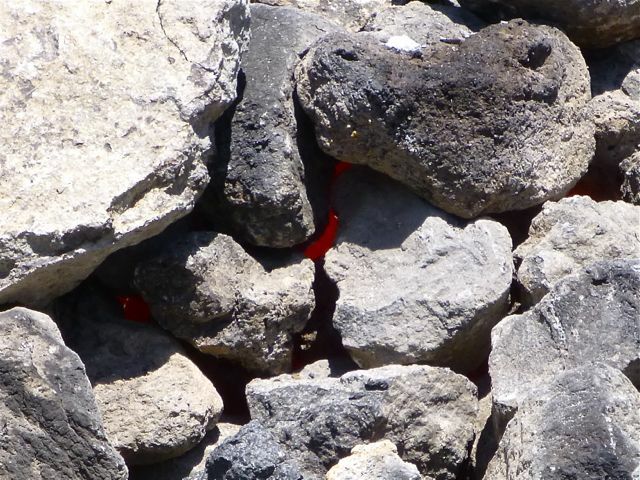 They are covered with agave leaves, fiber, mats and dirt and cooked over red-hot rocks for three to four days. 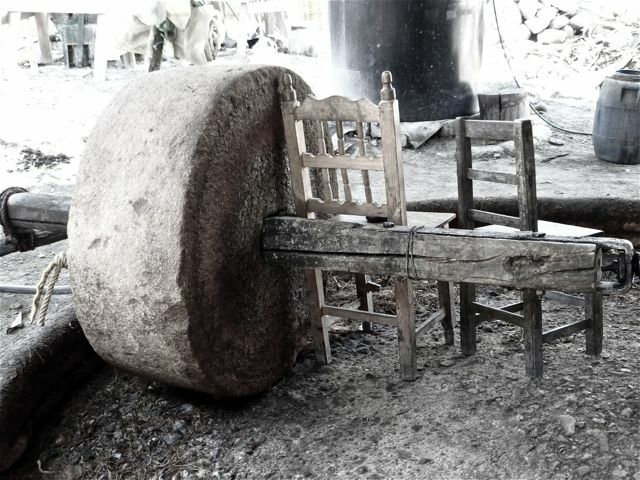 The roasted agave is crushed with a gigantic stone wheel pulled by a horse. 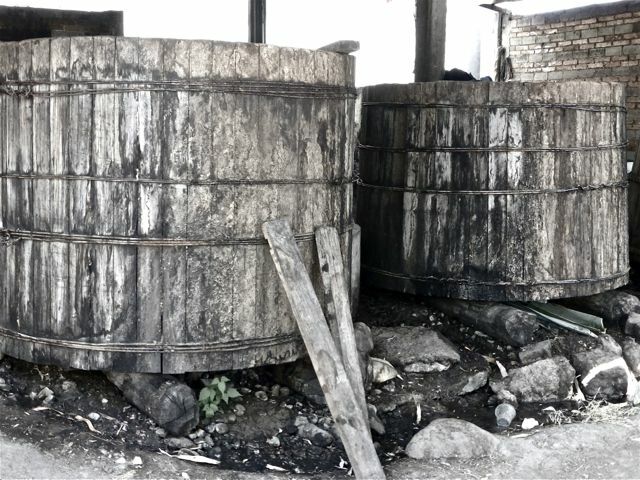 The roasted and mashed agave is then placed in large wooded vats to ferment. The liquid is extracted and twice distilled. Next it is either bottled, if it is to be sold as blanco (aka, joven), or placed in barrels to age. Reposado is aged for less than a year and añejo is aged from one to twelve years. Needless to say, I returned home with my 4 L plastic gas can (no, it had never been used for gas!) filled with reposado made by our host and master mezcalero, Faustino. And, please note: This is a drink to be savored not chugged!